Sharda graduated from Lasalle College of the Arts with a B.A in Acting. 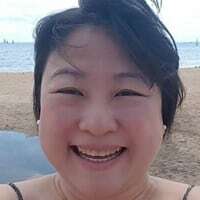 She has acted for a range of local theatre companies in Singapore such as Wild Rice, Cake Theatrical Productions, The Necessary Stage and Singapore Repertory Theatre. Sharda runs her own theatre and education company, Pink Gajah Theatre which she founded in 2013. In 2018, she started to venture into issue based works which lead her company to be involved in mental health awareness. 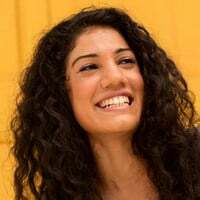 She performed and co-created a piece with Noorlinah Mohamed, called ‘8 ways of touching’ for the Enable Asia Festival, a festival about the awareness of Dementia. The piece of work was later brought to Ngee Ann Poly, where Sharda hopes the work can travel to more students to bring awareness on Dementia. Pink Gajah Theatre also collaborated with Pantheon Media to produce a mental Health Awareness skit, written by Wisely Chow called, “Don’t Let the Sun Go Down on Me” for the NCSS Beyond the Label Campaign. By Feb 2019, The skit would have toured to 22 institutions. Sharda is very passionate about promoting mental health awareness and the benefits of creating a more aware and informed society against the stigmas of mental health issues and conditions. 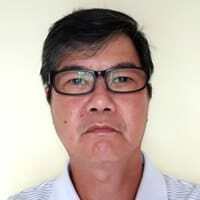 Dr Chiew is an Associate Consultant in the Department of Neurology, National Neuroscience Institute (Singapore). 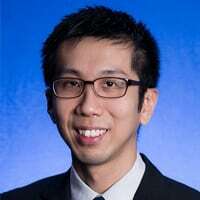 He is actively involved in the diagnosis and treatment of persons with dementia or young onset dementia in the hospital and primary care setting. His interests are in cognitive neurology and medical education. Ying Ying is a trainer at the Alzheimer’s Disease Association (ADA). She is a Registered Nurse trained in Gerontology and has a special interest in providing care for Persons with Dementia. This interest was developed when she was providing care for older persons in an Acute Geriatric Inpatient ward where she saw many Persons with Dementia’s condition deteriorate quickly despite pharmacological interventions. She believes in the importance of non-pharmacological interventions in slowing the deterioration of the disease process which include keeping Persons with Dementia actively engaged in meaningful activities in the community. 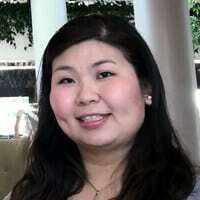 Hence, she joined ADA in October 2013, leading the pilot Family Of Wisdom Programme (FOW) in their Tiong Bahru Centre. Also, she is a trainer for Family Caregiver Training Programme conducted by ADA. She provides family caregivers with knowledge about the disease and to facilitate development of specific skills to provide a supportive care environment at home. Esther is a Nurse Clinician, Advanced Practice Nurse at the National Neuroscience Institution with special interest in dementia care. She spends most part of her career in caring for her patients with dementia and their caregivers. In her 15 years with the team, Esther has contributed and spearheaded projects and initiatives benefiting patients and their caregivers. Some of her special interests are in the areas of: Neuropsychiatric behavioural management related to dementia; Palliative home care for persons with severe stage dementia; Cognitive Rehabilitation Programme. She has done work with Temasek Care Foundation – Stroke Memory Rehabilitation Programme; Early Stimulation , Exercise and Emotional Support for Young Onset Dementia ( Esteem) with Alzheimer’s Disease Association; MOH Clinical Practice Guideline: Dementia. Kwong is a caregiver for his wife who has young onset dementia. He hopes to be an advocate for persons living with dementia so that they can receive the necessary and appropriate assistance.